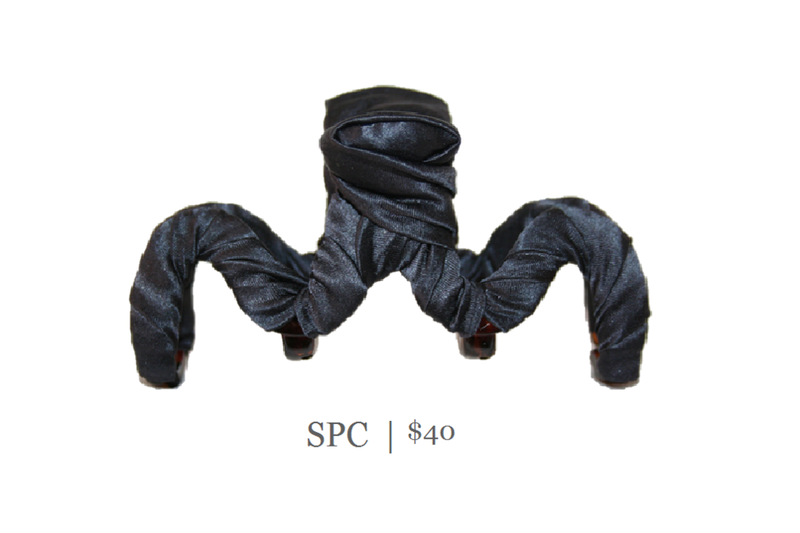 Our large spider clamp is hand wrapped in soft silk and measures 3 3/4" in length and 1 3/4" top to bottom. snug to the head for ultimate grip and comfort in your hair. Shown here in charcoal silk and on our model in bohemian purple.